I recommend this book to anyone who has already learned the method of Loci, aka Memory Palace, and wishing to go further. The concepts behind this technique are easily understood but it is not always so easy to translate them to a concrete example of dozens of word to memorize. This book fills this gap. 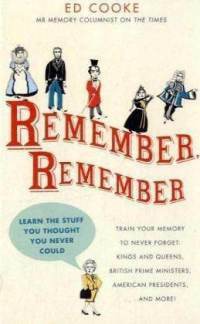 It does not bother to explain the history and the context of the method, but it lets us see how grand masters of memory act through high-level examples, using numerous tricks to create memorable and funny stories. A must read in your quest of the perfect memory but only as a second reading on the subject. Concerning the author, Ed Cooke is ranked among the best performers of the last years. In the highly recommended book Moonwalking with Einstein, he is the coach of the journalist who win the American Memory Championship in just one year, from novice to master. Ed Cooke is also the creator of the mobile application Memrise, used by millions of people to expand their vocabulary.